This is the 24th day of NaNoWriMo! It's not just any weekend, It's the weekend before NaNoWriMo ends. Write your novel like it's a Black Friday sale where you can get this exclusive insight. You can plan to discount at least 25% of whatever you write! So hurry and write all weekend long! Offer valid only after validation or Dec. 1, or whenever the editing process has started. See final first draft for details. It still feels like a holiday but this is the best time to make up your word count if you're behind. If you want to give yourself a boost for the last few days and finish strong I have a few suggestions. 1. Word Sprints ALL day, e'er'day. Word sprints are set periods of time where you write as many words as possible during that time. Throughout this entire weekend, there are Turkzilla sprints through Sunday night every hour on the top of the hour and the 00:30, for 15 minutes. Advantage: It ties you to a time vs doing ad-hoc sprints. Allows time (15 minutes) prepare to write again with a prompt, either your outline or something else, instead of simply starting with "ready, set, write!" Also, there are lots of dinosaurs involved, if you're into that sort of thing. 2. Attend any NaNoWriMo virtual write-ins? Rewatch them! It's nice to have a chance to try out the prompts you may have ignored the first time through. Again, this is a first draft. Get the words in. You can always edit the prompts out if they don't fit your story later. 3. Climb that buddy list ladder. By now you probably have a few buddies in your list in various stages of having won, having written more than 50K but aren't yet validated and those who are true blue in their word count and climbing. If you fall into the latter category, this is your time to climb. Find someone slightly ahead of you and do a word sprint or two to catch up to that buddy. I find 15-minute sprints to be most effective for me but your preference may vary. Do whichever sprint length works best for you. The key here is to repeat the sprints until you catch the person in front of you. Once you've done that take a well-deserved break, and then repeat as needed. 4. Use social media check-ins. If you use social media try posting your current word count as a virtual check-in. Posting an update every 2K words until you get to 45K can be a great motivator. After 45K, update every 1K to get through that final stretch. Let your friends cheer you on and keep you on task as you boost your word count and blast through to the other side of 50K. I'm curious to know if you have any weekend word boosting strategies. Let me know in a comment on this episode's show notes page -- podcast.amadvox.com. 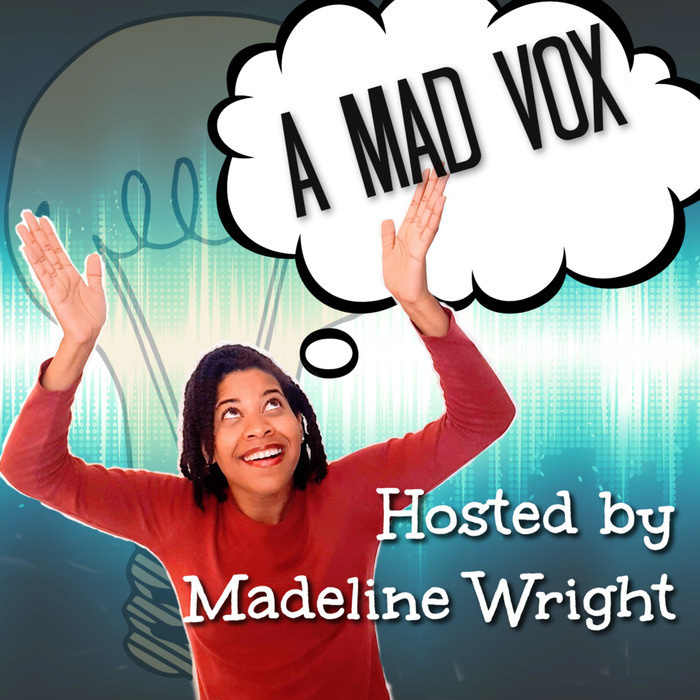 For reference, this is episode 24 or on Twitter at #amadvox. Thanks for listening! If you find this of value please consider rating and reviewing it in Apple podcasts (A.k.a. iTunes) and sharing it with a friend. Apple Podcasts, Stitcher app, Google Podcasts, Spotify, and RadioPublic.